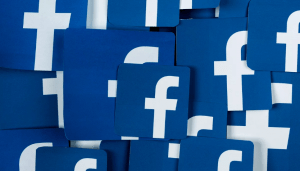 What Does the New Facebook Recommendations Feature Mean for Your Practice? Despite all of the public turmoil Facebook has been experiencing over the last year or so, Facebook is still an important component of a robust digital marketing strategy for the healthcare industry. One key element of the Facebook Business Page for any medical practice is the reviews section. By assigning a star rating, patients could quickly quantify their experience at your practice. With the advent of Facebook Recommendations, the star rating system is no longer available when customers write a review for a business. However, despite the loss of an ability for Facebook users to provide a visual “score,” the Recommendations platform presents doctors, medical practices, and other businesses in the healthcare industry with a number of opportunities to grow their online reputation. Instead of picking a star rating on a 1 to 5 scale, Facebook Recommendations presents an easy, yea-or-nay choice to a straightforward question: “Do you recommend [business name]?” Users are then asked to share their experience. When you access your practice’s Facebook Business Page, you will still see a star rating. This metric is derived from previous ratings and reviews, as well as newly written recommendations. As such, the visual shorthand of the star rating will still be present on your page. However, the accessibility of Recommendations makes it easier to generate publicly available patient feedback. One of the biggest digital marketing hurdles doctors and medical practices face is consistent generation of high-quality reviews. Patients have different time commitments and comfort levels with technology, so the streamlined look and ease of use with Recommendations should lead to more reviews, posted with greater frequency. The message behind the old review and star rating system is fundamentally different than the one Facebook has announced with Recommendations. The number of stars communicated what the user’s experience was to the business. Now, by asking users whether or not they recommend a business, the intent is to tell other users about what they liked and what the business needs to improve. With its emphasis on the experiential, Facebook is taking word of mouth and creating a framework for it in the digital space. When patients need to find a doctor or practice, they will pay close attention to what other patients say. By providing excellent patient service and care and then engaging your patients to write about it online, your practice will stand out to potential new patients. Another key benefit of the focus on authentic experience in Facebook Recommendations is a lower potential for abuse. In the past, practices may have engaged underhanded businesses to write spurious positive reviews or post a number of 5-star ratings on the Business Page with no text to accompany them. By the same token, unethical business owners sometimes took it upon themselves to slap the competition with false 1-star ratings. With Recommendations, Facebook has introduced a new, simple way to report fake reviews. Today’s online consumers have seen enough abuse of digital review platforms to know when something’s fishy. For practices that market themselves ethically, this means that your patients can be an ally in not only bolstering but safeguarding your online reputation. Facebook Recommendations appear near the very top of your Business Page. Therefore, what patients say about you is one of the first things people will see when they search for a doctor or specialist in their area. As they get familiar with your practice, they will be able to see more recommendations. In time, prospective patients will also likely be able to see photos of your office and tags representing your core attributes and services. According to Bright Local, Facebook has only unveiled “Rich Endorsements” for coffee shops and restaurants. However, the ability for reviewers to select tags and upload images to accompany their recommendations is expected to be available for businesses in other industries as well. Facebook Recommendations are driven by simplicity, authenticity, honesty, and visibility. In many cases, these considerations also drive patient decisions when selecting a doctor or medical practice. The sea change in Facebook’s online reviews platform presents an opportunity for your practice to generate more patient testimonials. The more positive reviews from satisfied patients you have, the more likely you are to generate additional patients through your digital marketing. Dan Goldstein is the president and owner of Page 1 Solutions, LLC. Page 1 Solutions is a full-service marketing agency serving doctors, dentists, and attorneys in private practice. Adam Rowan is the content specialist at Page 1 Solutions. For more than 10 years, he has written business profiles, feature stories, and other content for a variety of audiences.